Over two thousand Birmingham City fans travelled down to the Den full of hope and expectation at the weekend. The majority returned to the Midlands full of lager and meat pies and very little else. I say the majority because I happened to meet a group of Birmingham City supporters on the train back from Marylebone who had lost three of their mates somewhere in Soho. All three had subsequently missed the last train home. To be fair though, if your team has just been beaten in London there is no better place to get lost. Although I doubt their wives will see it that way. Brummies huh! Twitter competition winners Elliott and Felicity on the other hand had a happier journey home. They had just seen their team defeat Birmingham 2-0 courtesy of EnergyBet. 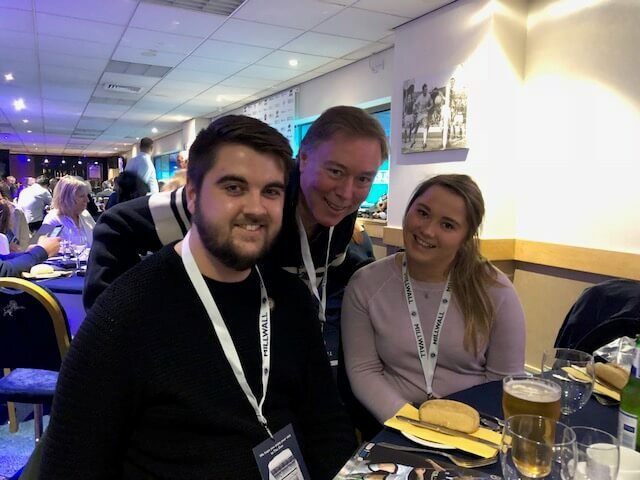 The young couple, fresh from University and avid Millwall fans, were treated to a VIP hospitality experience complete with a tour of the stadium. Felicity mentioned before the kick-off that she was a recent convert to Millwall fandom. She joined the Millwall family due to her boyfriend Elliott being such a keen supporter. She also told me that every time she had travelled to the Den thus far to watch a home game, Millwall had been victorious. So, with that thought in mind we all got stuck into the soup! Millwall is truly a family club. The welcome you receive as you enter the executive area to begin your hospitality experience is always warm and friendly. The staff here do a tremendous job. 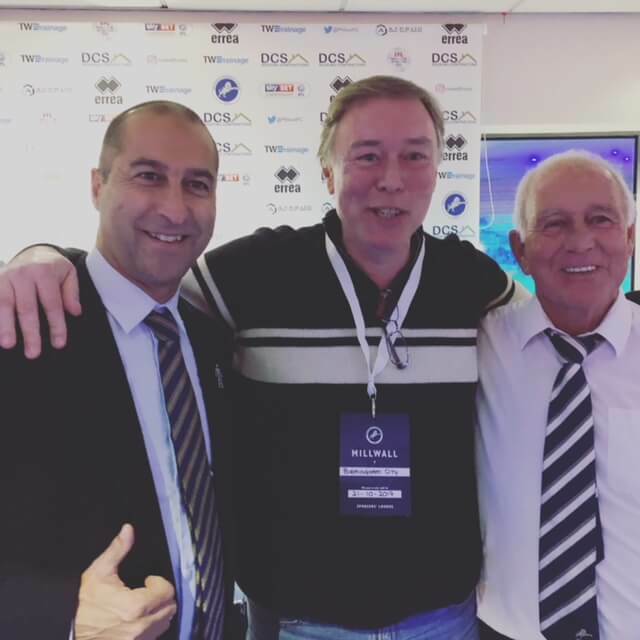 The best part of the hospitality experience at the Den though is the opportunity to meet other fans and learn about their experiences. Sharing our table were four guys from Norway who had travelled to England for a weekend of pure football. The previous day they had gone to watch West Ham lose to Brighton at the Olympic stadium and it is probably fair to say they were less than impressed. The big game for these guys though was the Sunday game between Tottenham and Liverpool. The organiser of the trip whose name was Odd (no, that was his name, really!) was a massive Tottenham fan. He had travelled with his brother and nephew who were both Liverpool supporters to visit Wembley and take in the game. I think it is fair to say that Odd must have been the most satisfied with the eventual result. As for his brother and nephew? Well, they maybe got lost in Soho together with the Brummies for all I know, but for sure they will all have had a memorable experience. The highlight being their trip to the Den, obviously! All in all, it was another great day at the Den. Delicious meal, superb wine, entertaining company, great football, and Felicity’s 100% home record was maintained. What more could you ask for? Would like to experience the fantastic hospitality on offer at Millwall FC for yourself? Follow EnergyBet on Twitter! We run regular Twitter competitions offering fans the chance to win a VIP hospitality package at a home game of your choice. Click Here for this weeks EFL Cup games. Click Here for the upcoming odds for all the weekend EPL games.